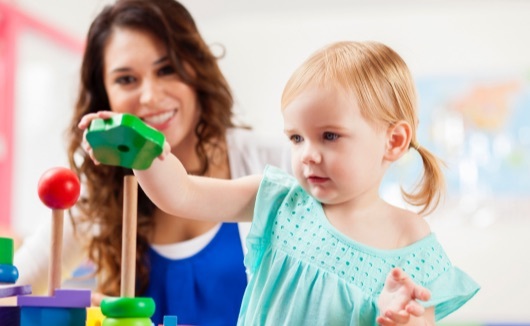 Our Toddler Community is a prepared environment for children 18 to 36 months. The equipment in their large sunny room, the playground adjacent to the classroom for active play, and consistent routines have all been planned to meet the needs of our youngest students in a “home away from home” atmosphere. The program is designed to support independence as children learn to take care of their basic personal needs and develop language and social skills. Toilet training is a part of this program and is achieved gradually as the younger students observe the older. There is a child/staff ratio of 6: 1 in this community. The Early Childhood program is for children aged three to six years and includes kindergarten. The large classrooms filled with Montessori equipment, an atrium for outdoor activity, and playground with play equipment including picnic tables, comprise the richly prepared environment for these children. Each day, during a long uninterrupted work period, the children have opportunities to work independently or have individual, small or large group lessons. The overall goals of this program are to support children as they develop a sense of order, refine their coordination, expand their concentation, grow in independence and practice emerging problem-solving skills. Our language curriculum follows a strong structured phonics program including many language experiences to develop a sight reading vocabulary. The child/staff ratio of 10:1 allows many one-on-one interactions between adult and student. The youngest students nap in the early afternoon while the older have an afternoon work period with more advanced geography, science, language and math lessons. The Elementary community is for children aged six to twelve years and is divided into two groups. Lower Elementary consists of six to nine year olds and Upper Elementary has nine to twelve year olds. There is a 10:1 ratio in each class. Both classrooms are abundantly equipped with materials and Montessori equipment for developmentally appropriate hands-on learning which lead the children through concrete experiences to the understanding of abstract thought. The curriculum more than covers the first six years of the elementary school. 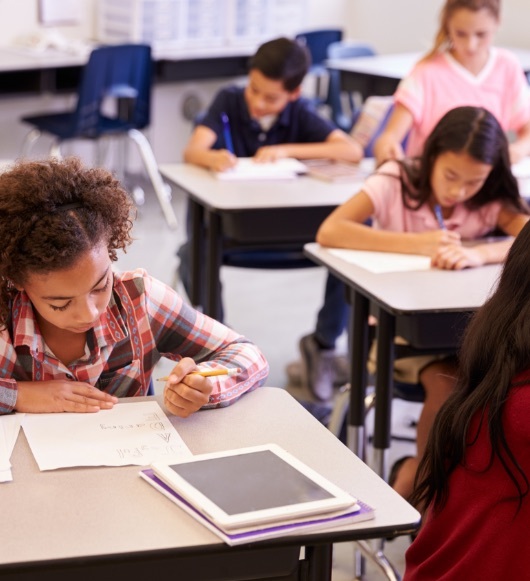 The students are in a self pacing math program, lessons are given individually and progress is assessed through teacher observation and one-on-one discussion. Large and small group lessons are used to present history, geography, earth science, biology and geometry. The follow up work from these lessons also includes research done by the students. Through the process of reading, gathering information; writing, editing and publishing their work, the children develop composition skills. The children have an expansive library within the classroom, kitchen, multipurpose space for lunch and art activities, and a large playground and deck for outdoor activities. Montessori Kindergarten: Empowering & Essential from American Montessori Society on Vimeo.